Does one little setback lead to a vicious cycle of failure? It can if you suffer from “What-the-hell” syndrome. Check out what it is, what it does and what you can do to stop it. Attention graduates and soon-to-be retirees: your future may hold anxiety, depression and panic in store. Find out why and what you can do about it now! There is a big difference between typical hesitation and doubts that are warning you of a bad decision. Check out a few tips on how to tell that difference and spare yourself loads of stress and anxiety. 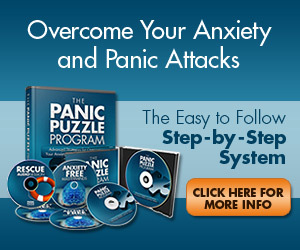 Many people aren’t familiar with anxiety disorders like generalized anxiety and panic disorder. Knowing about a variety of disorders can help you to recognize the symptoms more quickly and to seek appropriate help. What you learn can also give you the ability to notice the signs of illness in a friend or family member.